With the mountains, the midlands, the coast and islands, it seems South Carolina SC has it all. Whether you are looking for a interior, exterior 3D rendering design or graphic artist in Rock Hill, Columbia, Charleston, Hilton Head Island, SC or any of the surrounding areas, at Capital Exhibits we are always right where you need us. We realize how important it is to take advantage of every advertising and marketing opportunity. 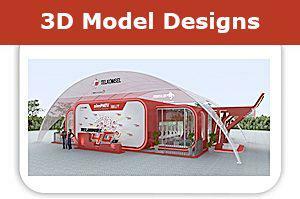 Are you looking for 3D modeling design for your new product? Want to bring new life to old design with new attractive graphic design? Need a tee shirt design for staff uniforms or as an exhibit giveaway? Let us create a full branding design package to increase brand awareness and market share in your industry. Capital Exhibits understands how important it is to maximize your event and exhibits budget. Don’t be fooled – we don’t offer cheap 3D rendering design and graphic design! 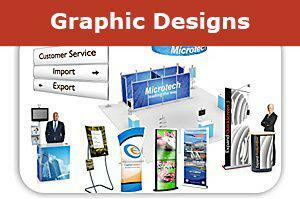 Capital Exhibits designers are rated as a top graphic designers in business design. By utilizing our in-house team of professionals, we are able to cut down on turnaround time and costs to provide premium services at affordable rates. Our team of professional designers and infrastructure specialists can craft a 3D design or print graphic design that fits within any financial plan. Our graphic displays are professionally designed and constructed, easy to use, and intended to deliver positive ROI results. Not ready to commit to the investment of your own display? Ask us about rentals! We listen and incorporate your own design concepts to ensure that the results provide the best graphic design ideas to suit your needs. In the two decades we have been in business, the focus has always been on promoting the success of our clients. No project is too big or too small when it comes to our graphic art design services. Utilizing the latest graphic design trends and techniques, Capital Exhibits will realize your vision. With our team of exhibition and fair graphic design specialists we will make sure you stand out at your next promotional event. We offer a wide variety of trade show displays such as retractable banner stands, portable exhibits, pop ups, table top displays and much more. Finding exactly what you need to meet your branding goals can be overwhelming. Let us help! Call and speak to one of our graphic designers for more information about logo design prices, print design pricing, and all other graphic design quotes and rates.